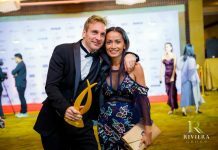 The eighth annual Thailand Property Awards were officially launched on Tuesday 19 February at a special event hosted by the organisers Ensign Media Ltd at the Westin Grande Sukhumvit Hotel in Bangkok. The launch included a presentation and detailed explanation of this year’s property awards schedule, with information on the judging process provided by Sunchai Nuengsit, managing director of Builder Smart PCL and chairman of the central judging panel, followed by a Q&A and networking session. 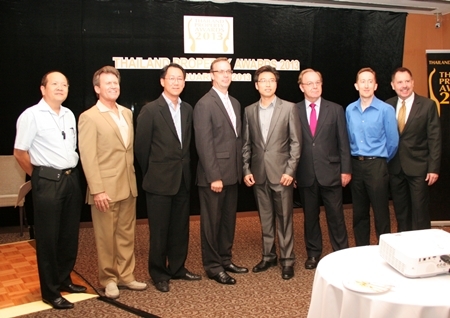 In addition to well established awards such as Best Developer Thailand, which last year went to Charn Issara Development PLC, Best Boutique Developer Thailand, plus a host of regional awards for the best condominiums and villa developments on the Eastern Seaboard, Phuket, Koh Samui and in Chiang Mai, the 35 categories announced at the event also included four new awards for this year: Best Residential Development (Khao Yai), Best Villa Rental Agent, Best Villa Architectural Design and Best Villa Interior Design. 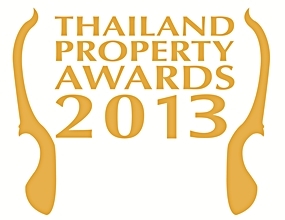 This year, awards for Best Property Management Company will also be given for Bangkok and the resort sector. 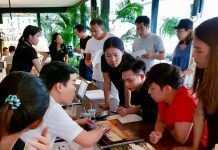 To enter the 2013 Thailand Property Awards, real estate companies and projects must be nominated by a third party and the entire judging process is monitored independently by BDO Advisory to ensure that that the judging process is undertaken fairly, without bias or favour. Several hundred companies have already been put forward in a wide range of categories, with many more expected before nominations close on March 22 and the judges begin the arduous process of selecting a shortlist of winners. Organizers and judges for this year’s Property Awards pose for a group photo. The Thailand Property Awards Gala Dinner and awards presentation ceremony will be held at Centara Grand & Bangkok Convention Centre at Central World on 19 September 2012. 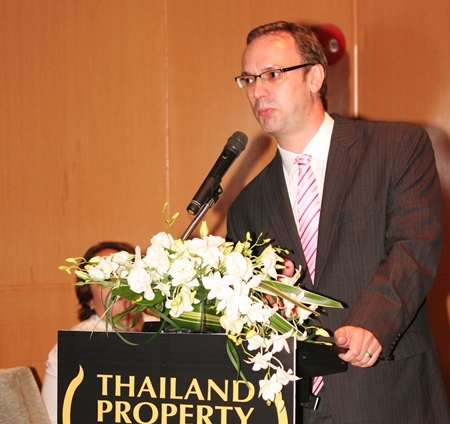 Terry Blackburn, CEO of Ensign Media Ltd., addresses the media at the launch of the 2013 Thailand Property Awards.